Fennel bulbs help in removing toxins from the body by increasing the amount and frequency of urination. Fennel is widely used around the world in mouth fresheners, toothpaste and desserts. It is originated in the Mediterranean and those cultures have long used it for culinary and medicinal reasons. Due to the components of its essential oils, there are numerous health benefits of fennel. · Fennel facilitates digestion. That’s why it is chewed after meals in the Indian subcontinent. Furthermore, it can eliminate constipation. It may protect the body from wide range of intestinal troubles. It is also used as an important ingredient in many appetizers. · Due to carminative properties of the aspartic acid present in fennel bulbs, it is very popular as an anti-flatulent. It is a good way to expel excess gas from the stomach. · Fennel is rich in iron. It is helpful in the treatment of anaemia. It helps in the formation of various other components of blood. · The roughage in fennel helps clean the bowel. It’s stimulating effect helps maintain the proper peristaltic motion of the intestines, thus helping promote proper excretion. It can treat abdominal pain, diarrhoea, Irritable Bowel Syndrome and other intestinal issues. · Fennel extract can not only inhibit the growth of tumours but can even be somewhat chemo-protective against the harmful effects of radiation during cancer treatment. · Being a rich source of potassium, the herb relaxes the tension of blood vessels by reducing blood pressure. · Potassium content in fennel bulbs can help increase brain function and cognitive abilities. It allows more oxygen to reach the brain and neural activity can work at optimal functionality. · If diarrhoea is caused by bacterial infection, fennel is helpful to cure it. 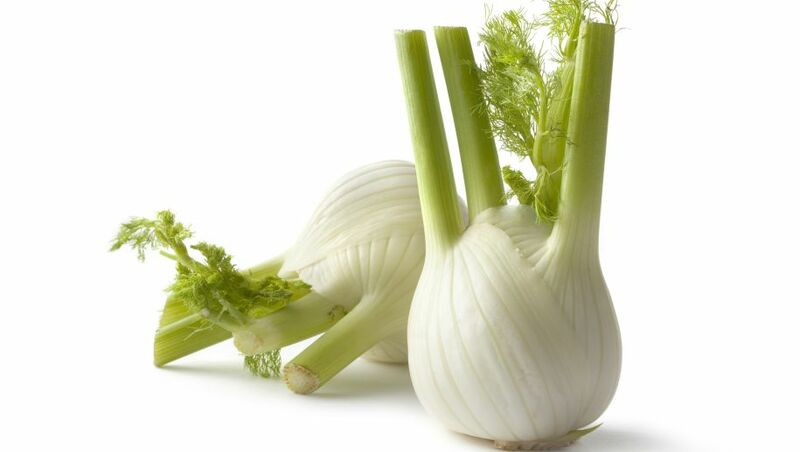 · Polymeric and heavy molecules found in fennel are quite helpful in the treatment of Renal Colic. · Fennel seeds are quite rich in vitamin C and vitamin C improves general immune system health, produces and repairs skin tissue, helps to form collagen and also protects the blood vessel walls as antioxidant against the harmful effects of free radicals. · The herb eases and regulates menstruation by properly regulating hormonal action in the body. · It eliminates bad breath. · Regular consumption of fennel protects the eyes from inflammation, prevents macular degeneration and premature aging. · It is useful to treat respiratory disorders like congestion, bronchitis and cough. · Fennel bulbs help in removing toxins from the body by increasing the amount and frequency of urination. · Due to high fibre content, it maintains healthy levels of cholesterol in the blood stream. Caution: Certain components of fennel can be dangerous if ingested in too large of a quantity. Eat in moderation.